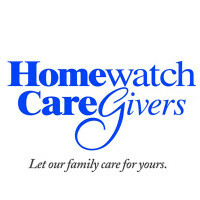 Homewatch Caregivers is a franchise chain of home healthcare agencies, which can be found in 220 locations all over the world mainly in the USA. The healthcare company offers house services to older people and anyone else who requires assistance in day-to-day activities. The services provided are in rehabilitation, disability, childcare, transportation and geriatric care. Being so widely spread, the business always welcomes candidates to complete a Homewatch Caregivers application. Paul Sauer came up with the idea for this institution in the 1970s. The notion materialized in 1980 when the first branch opened for business. Paul’s firm started franchising in 1996. Throughout the expansion of the company, Paul never lost sight of the principles and values on which he based the firm: integrity, compassion and engagement to provide the best services possible. By 2000 the US established enterprise had already turned from a local healthcare provider into a full-blown corporation with divisions in New Zeeland and Canada. Envisioning an even bigger success of the business, Paul Sauer invited his daughter Leann Reynolds to join the company in the hopes that one day she would run it. This became reality in 2006 when she took over as president of the healthcare agency. With Leann at the helm, the franchise chain doubled in size, it had four consecutive years of double-digit revenue growth and opened new branches in Costa Rica, Panama and Guatemala. The company headquarters are at 7100 E. Belleview Ave., Suite 101 Greenwood Village, Colorado, 80111 and have 28 employees. The rest of the network supplies jobs to about 6,100 people. While remaining faithful to the founding guidelines, the firm has extended it product base by launching Pathways to Memory, designed for patients with dementia or other memory illnesses; Remote Care Technology for setting up safety devices residentially to supervise activities and drugs meant to function in tandem with the in-home services; ClientCare Coordination, a full care administration output; and Homewatch Caregivers University, an online instructing program for all staff members. Homewatch Caregivers careers are always on the market to hire, since the corporation is constantly expanding. There is never a shortage of applications for Caregiver, RN, HHA/PCA/CAN caregiver, homemaker companion, in-home caregiver, STNA, companion caregiver, certified nursing assistant, live-in caregiver, LPN, overnight CAN/CHHA, home care case manager or certified home health aide. To work for the healthcare agency, one must be 18 years old (How old do you have to be to work at Homewatch Caregivers?). The careers come with a flexible schedule, which means that the operating hours for the business vary according to the position of employee and location. There is also choice between full-time careers and part-time ones. Their job opportunities satisfy both the needs for employment of entry-level candidates and career-experienced applicants. Regardless of the position, all employees provide excellent care, which is a standard, embedded in all Homewatch Caregivers jobs. Every decision on who should fill a position is based on careful consideration of the applicant’s resume, how he/she handled himself/herself during the interview, and on a detailed background check including employment and personal references. The healthcare franchise encourages its staff to widen education and skills. With this in mind, the Homewatch Caregivers University was established to supply continual training to personnel. The educational institution has thousands of hours of qualified contemporary training modules. Some of the courses that employees find extremely useful are learning how to suitably move a patient, nutrition tips, how to prevent infections, special care for chronic illnesses and leadership skills. Homewatch Caregivers careers give employees flexible working hours, promotion chances and the possibility to develop skills and abilities. Other benefits include competitive salary, healthcare coverage, 401(k) plans and paid vacation. If these incentives sound tempting, then a Homewatch Caregivers application is one link away via their Homewatch Caregivers job application online page. Caregiver / CNA – There are two types of caregivers: CNAs (Certified Nurse Aides) and PCPs (Personal Care Providers). The job description states the following main responsibilities for these jobs: helping clients with personal care needs according to care planning and supporting patients with mundane activities safely. To qualify for the job the candidates must have prior experience in the field. Pay is $10- $10.50 hourly. Companion Care – To earn the role the applicant must have work history in a similar position and do light house chores, cooking, laundry and bed changing, transportation, shopping and companionship. The agency demands personnel to be capable to work 20-40 hours weekly, to be in constant movement for about five hours daily and to communicate properly. Software Trainer / Business Data Specialist – To fill in these shoes one must train and assist franchise associates and their personnel on using the company software and analysis programs to solve problems and determine tendencies. He/she is subordinate to the senior business analyst from the Operations Department. The experience sought is of minimum three years in an analytical role and one year of working with Microsoft Office Suite. Home Health Aide – The tasks, which a home health aide should perform, are slight tidying-up, meals organizing, cooking and table arranging, transportation, buying stuff, bathing and dressing arranging and safe companionship. The prerequisites are minimum two years of home care experience, appropriate certification, criminal background check, drug screening, high school diploma or GED, a valid driving license, vehicle insurance and dependable transportation. The hourly rate varies between $10.25 and $13.00. Finding the right people to hire is very important for the healthcare company because it looks to provide the best services in the industry for those in need. The questions asked during the interview are tailored to measure the level of compassion and professionalism of every candidate. Could you please tell us a bit about your qualifications and education? Experience is important for Homewatch Caregivers careers but having the proper qualifications is essential for some roles. Elaborate on your education and give examples of instances when it was put to practical use. Are you a prudent driver? Sometimes you may need to drive the person in your care to different places. This question aims to establish your abilities as a driver. Reassure the hiring staff that you are a careful driver who would never speed or get distracted while in traffic. What made you choose this profession? More than a job, working in the healthcare industry is a calling. Give an honest answer that shows dedication and passion for your employment. Would you be available for night shifts? Oftentimes the Homewatch Caregivers jobs require the employee to do night shifts. Consider the responsibilities and answer honestly if you are available or not. Should we be aware of any medical issues that could interfere with your work ability? The clients are sometimes completely dependent on their caregivers who should be fit enough to carry on their duties. Be clear about any health issues you might have. The easiest way to land a Homewatch Caregivers job, that is in case you have the proper qualifications, is to rely on a friend who already works there to put in a good word for you. If your friend is trustworthy and reliable, then his/her recommendation will carry a lot of weight with the recruiting staff. So go to the Homewatch Caregivers jobs online page, download an application form, then you either fill it out as an online application, which you print afterwards or use the printable application form, which you can thereafter complete in writing. Once you have done this, hand the printable application for Homewatch Caregivers to your friend who will bring it in to work and give it to the HR department. If you don’t know anyone working with the agency, then don’t despair. You can always apply for jobs at Homewatch Caregivers through the direct application, which is a free application and gives you the chance to apply online via the company’s direct website. There you can research on how to apply for Homewatch Caregivers online and then fill out the application form. Once an interview invitation has been extended, the job hopeful should go over the company’s website again and familiarize himself/herself with the inner workings of the agency. Preparation is the key to success, so reviewing the resume and rehearsing scenarios and questions counts. The majority of roles are hands-on, directly working with patients, which means the interviewers will most likely present a situation and ask for a solution. At the interview, the applicant should arrive on time, dressed appropriately and behaving in a suitable manner. The replies to questions from the hiring staff should be precise and coherent. The candidate should specify reasons why she/he is better qualified for the job and have pertinent questions ready for the interviewers. The selection process should end with the follow-up to thank them for the meeting and enquire on a decision date. O’Reilly Auto Parts: See this page for jobs at O’Reilly Auto Parts. Ford: For employment at Ford visit the application page. Midas Mufflers: See our guide for careers at Midas Mufflers. Home Instead Senior Care: Visit the Home Instead Senior Care application. Walgreens: Walgreens offers opportunities for both, beginners and experienced roles.